The dry season in Hwange National Park reached its height in late September. My partner Ashley and I huddled in our Pajero, trying to keep warm in the chilly midnight air on the bank of Mandavu Dam. The water shimmered silver under the full moon as night-owl storks stalked the shallows. Sudden splashing alerted us to the thirsty arrival of an elephant herd on the far bank. I strained through binoculars to count the drinking adults and playful young – a herd of 23. Scanning back to our side of the dam, I found four huge bulls right next to us, drinking silently. I marked both groups on my clipboard, thankful for the action which helped to keep me awake. I felt a little jealous of my partner’s sister, Claire, and her fiancé, Ian, snoozing next to us under their Hilux’s canopy. But it would soon be time for a shift change, and our chance for a nap. This wasn’t a typical safari. We were conducting a 24-hour stakeout as volunteers for the annual Hwange Game Count. A Harare-based NGO called Wildlife & Environment Zimbabwe (WEZ) organises these counts. Our task was to tally every critter that visited our assigned dam. 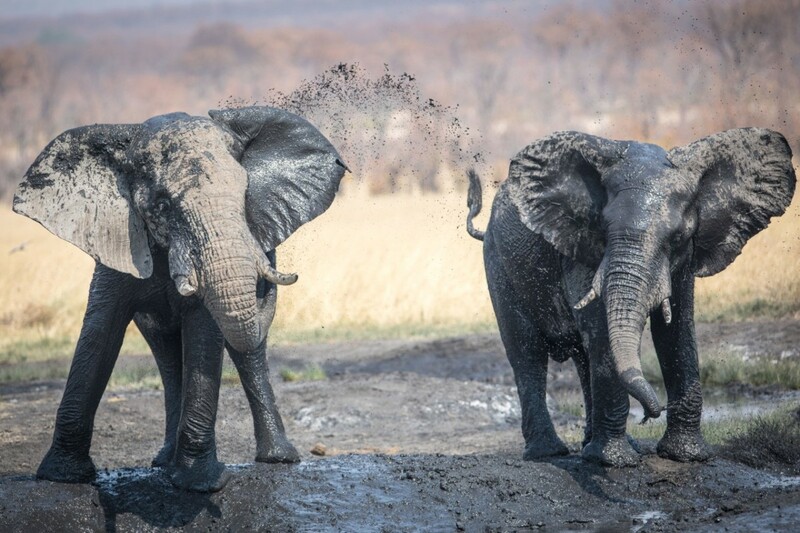 Ninety-one other teams were doing the same at waterholes, seeps, pans and dams spread across the park. Afterwards, WEZ tallies each team’s sightings for a database which stretches back to the 1970s. This year marks Hwange’s 49th 24-hour static pan count. Fellow count volunteer Arnold Tshipa is the ecologist for Wilderness Safaris. 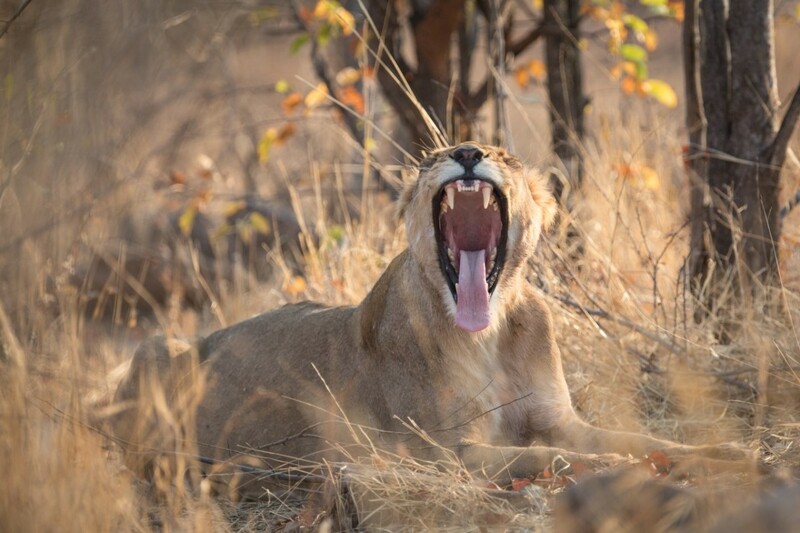 According to Arnold, the WEZ data is a rich resource for scientists and park staff that monitor Hwange’s wildlife. The waterhole counts are more consistent than the occasional aerial survey. They also capture smaller animals that observers can’t see from the air. After years of talk, we finally contacted Pam Birch, WEZ’s count coordinator, in early 2018 to apply to participate. We had to detail our team members (2 – 6 people); the number and description of our vehicles (4×4 or 2×4, high or low clearance, diff lock or no); and our experience with previous counts. Lacking experience, we had to promise that we knew a klipspringer from a kudu. There was also an opportunity to choose accommodation – chalets or camping in Sinamatella, Robins, or Main Camps, or camping at one of several ‘picnic sites’ (remote spots with basic ablutions and a wilderness feel). We could also request a specific pan or area of the park. Roads in Hwange are poorly maintained. Luckily, the riverbed was dry. No permanent rivers flow through Hwange’s 15 000 km2 extent. In the dry season, life revolves around pumped waterpoints. This is why the game count is so effective. Any animal that needs a drink visits a waterhole, and volunteer teams cover as many as possible. We’d been to Hwange only once before, so we didn’t know what pan to request. I put in an afternoon’s effort scouring previous years’ count reports to look for waterholes with plenty of action. Legendary spots like Ngweshla, Nyamandhlovu and Kennedy tend to go to experienced counters. Nevertheless, we wrote that we would love to camp in a remote picnic site, and count in a spot with prolific game. When our assignment came back with Mandavu Dam West, we had mixed feelings. Mandavu ranks tops for sightings… but it’s a huge body of water. We worried about missing the wilderness experience at a small, remote waterhole. On the plus side, we would be camping in the Mandavu Picnic Site before, and after, the count. Soon enough, it was the Saturday scheduled for our departure from Johannesburg. We routed through Botswana, using a slight detour to avoid long-weekend mayhem at Groblersbrug/Martin’s Drift. We crossed at Stockpoort/Parr’s Halt without delay, not even to pay road tax and insurance. Their computers had gone missing the previous night, but an officer assured us that we could pay on our way out. ‘Drive safe,’ she said, as we left. 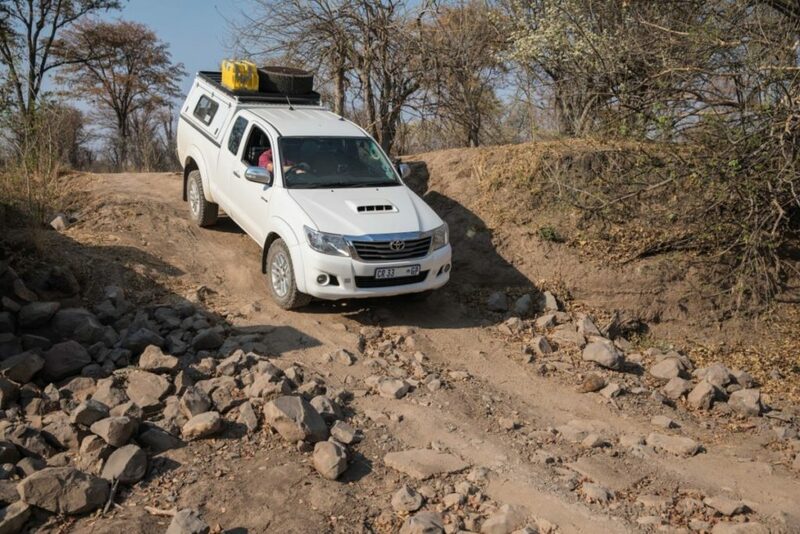 After camping north of Nata, we crossed into Zimbabwe at Kazungula. We felt cheated about having had to pay for the insurance after driving safely, but we would need it again for the return journey. Stocking up on fuel and supplies at Vic Falls went less smoothly. We hadn’t brought fresh food for fear of confiscation at the border, but no one had checked. Nor had we filled our jerry cans with fuel in Botswana – again, no-one had checked. In Vic Falls, we found 60 cars in a queue at the petrol station because of ongoing fuel shortages. Luckily, they had diesel, and were filling jerry cans between cars. The OK Store had a meagre stock of fresh food with eye-watering U.S. dollar prices. We found the essentials, but felt sorry for the locals. I forked out $25 for a tube of sunscreen – won’t forget that again. 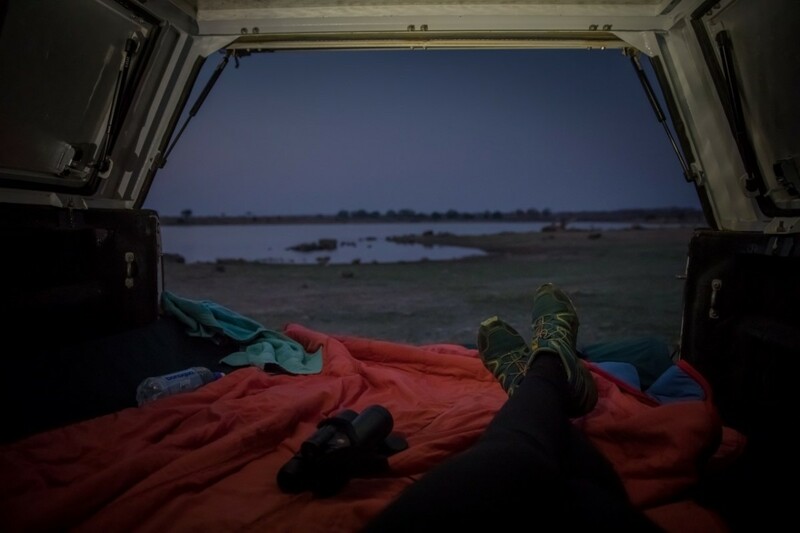 It’s 150 km from Vic Falls to Hwange’s Sinamatella Camp. Just before entering the park, we passed through a coal mine. Black dust coated everything – the road, the sparse vegetation and the colossal quarried boulders. It looked apocalyptic. Suddenly, the mine road forked, and pristine gravel led us the short way to Sinamatella Gate. Green bushes glowed against yellow mopane, and sunbeams danced in the ‘clean’ dust. In Sinamatella, we met Colin Gillies, coordinator for the region and a 26-year count veteran. A Land Cruiser drove circles around the camp, making a loud clank-clank. Colin explained that it had a broken brake pipe and calliper dangling on the front tyre. The briefing for the official count was in the evening, but we were given a private rundown since we were camping at Mandavu Picnic Site. Colin drew a map of our site and talked us through a folder stuffed with papers for recording mammals, temperature, weather and birds. 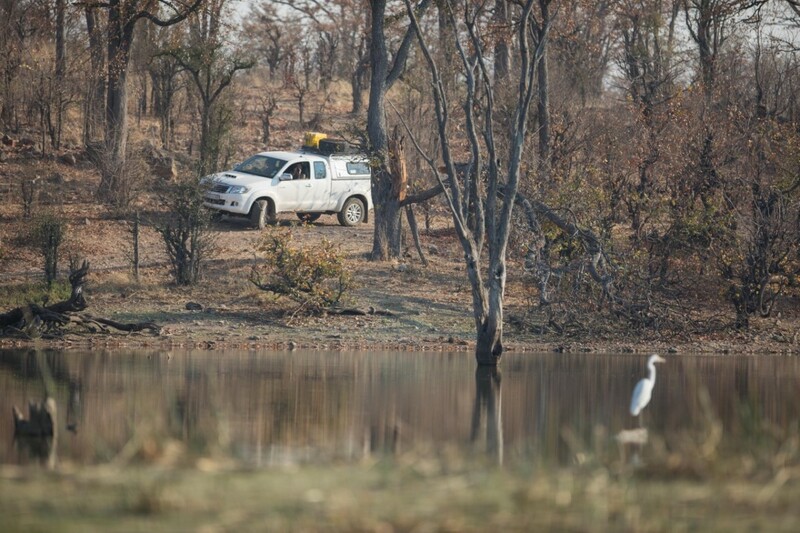 We had special forms to report sightings of rhino, cheetah, leopard and certain bird species. Colin said he’d never seen so much water in the park: “We’ve had some phenomenal rains this year, so there’s a lot of what we call natural water.” Good news for wildlife, bad news for observers like us hoping to count lots of animals. 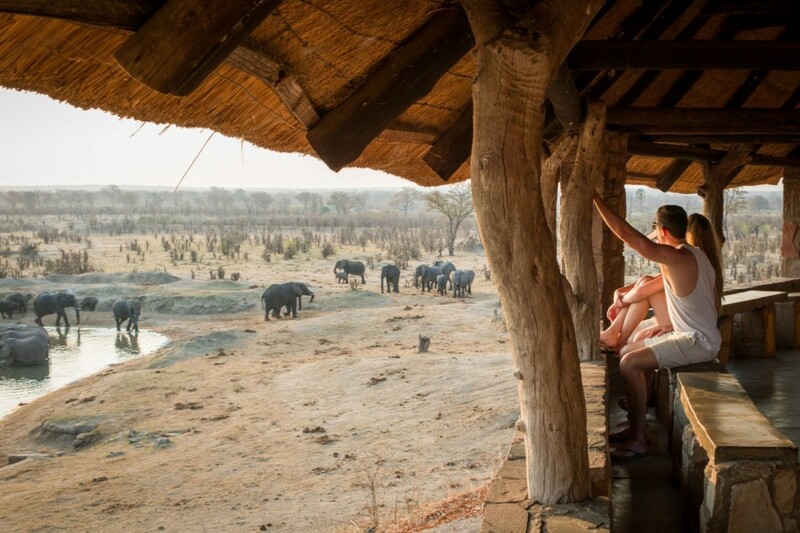 Wildlife is abundant in Hwange, and easy to spot around waterholes in the dry season. Several of the busiest waterholes feature nice hides like this one. 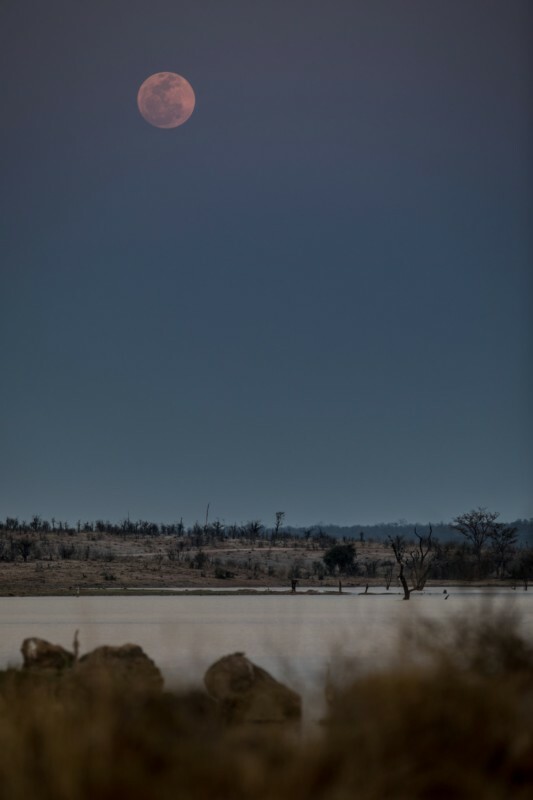 Game counts are conducted during a full moon at the peak of the dry season, to ensure maximum visibility and the most sightings. 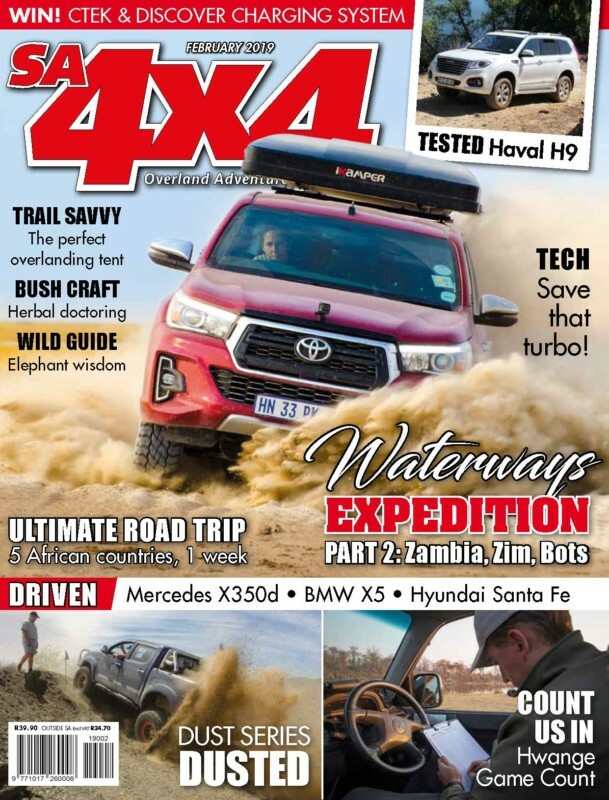 To read the rest of this wildlife adventure, pick up the February issue of SA4x4 Magazine.